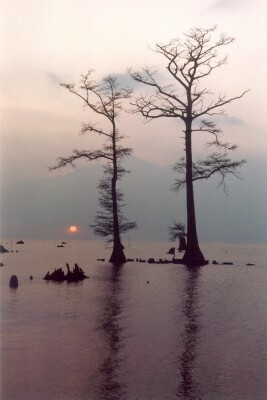 Lake Pontchartrain is the largest estuary in southern Louisiana. 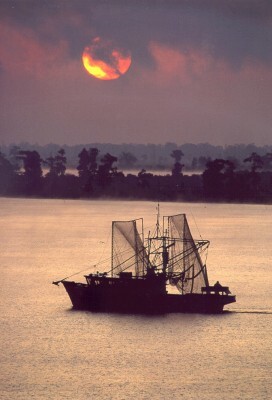 It is an important recreational, commercial and environmental resource for New Orleans and southeastern Louisiana. This publication is part of a five-year, cooperative program led by USGS on the geological framework of the Lake Pontchartrain Basin. This presentation has two parts. One part provides new scientific research results and documentation. This includes a preliminary release of a comprehensive database and report on bottom sediments from Lake Pontchartrain and surrounding waterways. The second part provides background information on the area for a wide circle of users. This is highlighted by an in-depth school curriculum guide to environmental education based on Lake Pontchartrain. DISCLAIMER: This report is preliminary and has not been reviewed for conformity with U.S. Geological Survey editorial standards or with the North American Stratigraphic Code. Although efforts have been made to screen information for data that may be seriously compromised, the data provided here are not guaranteed to be correct or complete. Conclusions drawn from the data are the responsibility of the users. For more detail on data quality, including evaluation of data from heterogeneous sources, see technical discussion in the relevant sections. Any use of trade, product or firm names is for descriptive purposes only and does not imply endorsement by the U.S. Government. See also Professional Paper 1634.